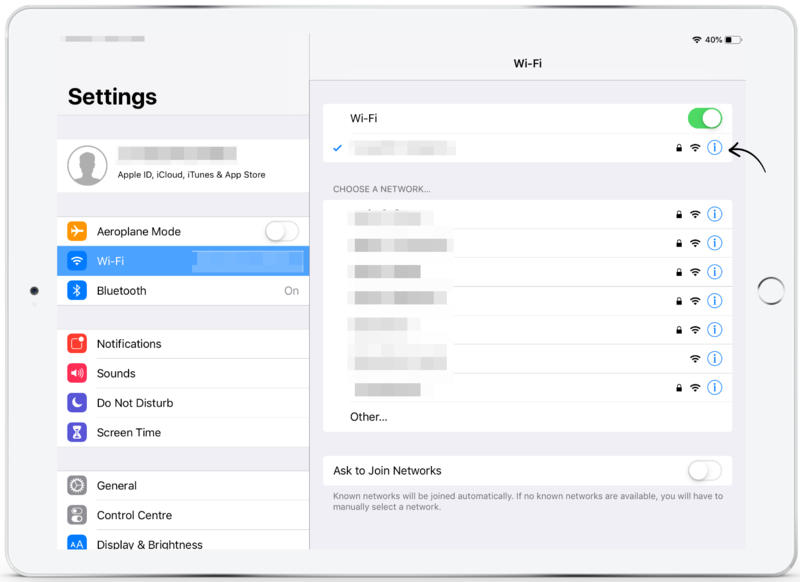 If the wifi network uses a proxy, this will need to be manually configured within the iPads wifi settings as shown below. 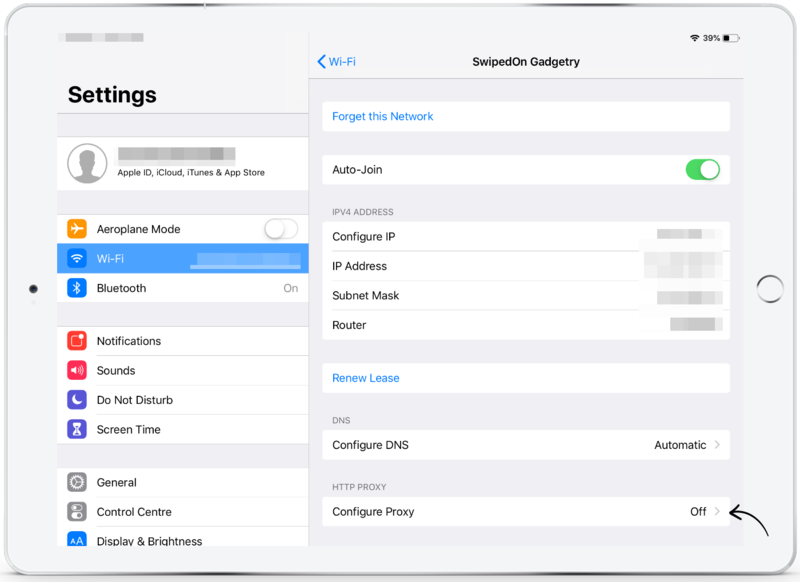 To access the 'Configure Proxy' network, navigate to the iPad 'Settings' app. Once 'Settings' is open, navigate to 'Wifi' and tap on the 'Information' icon to the right of the wifi network. 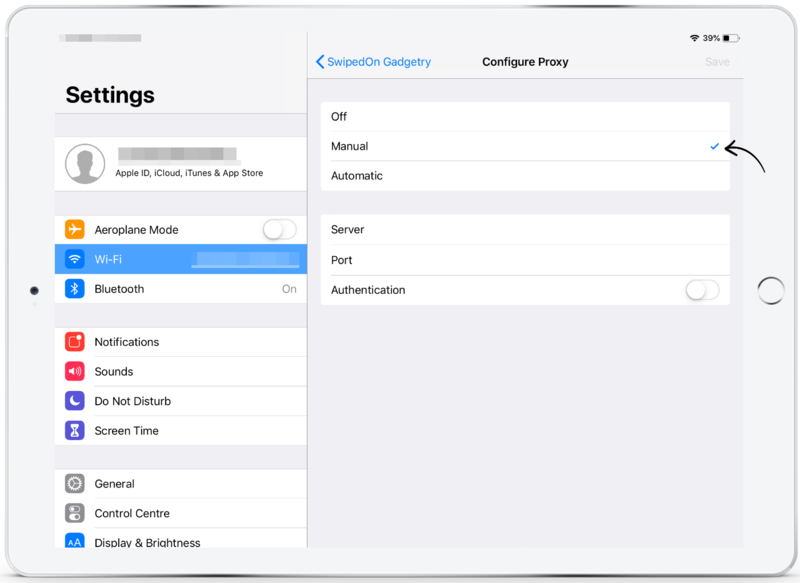 Tap on the 'Configuring Proxy' button. When the 'Configure Proxy' screen is open, tap on 'Manual' and enter in the details as shown below and input the Server and Port number. *If you are still experiencing issues, please get in touch with our support team using the live chat function in the lower right corner of the screen, or email us via support@swipedon.com.